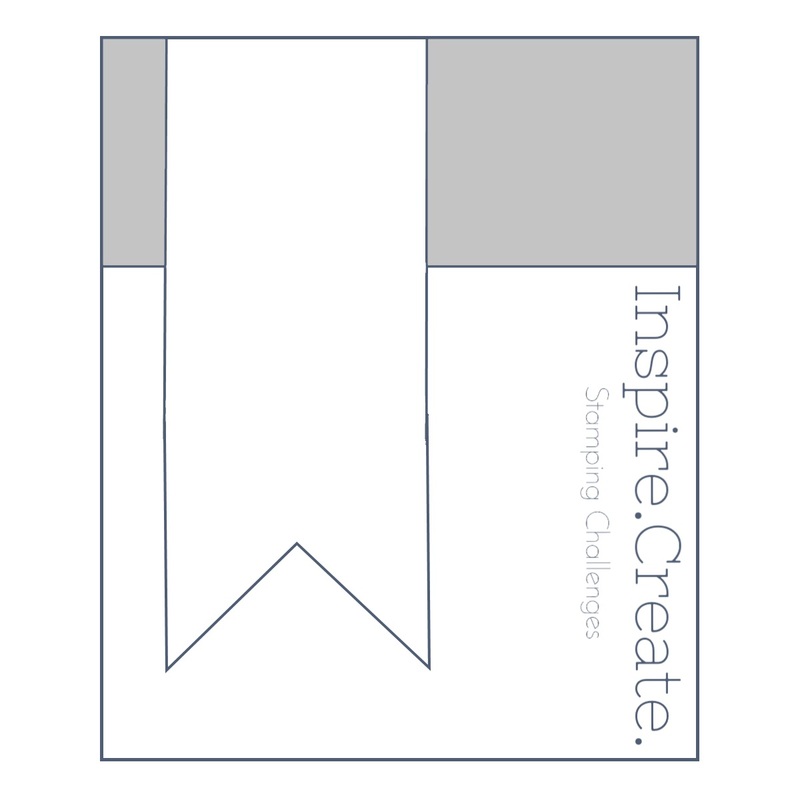 Inspire Create Challenge 008 With New Product Sneak Peek! I do hope this post finds everyone having a peaceful Christmas! 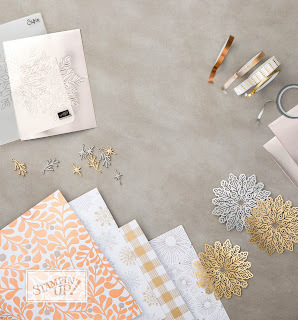 There is often a lull between Christmas and New Year I find, which make it perfect timing for our next Inspire Create Stamping Challenge! Challenge 008! We have a sketch challenge ! We have a brand new catalogue launching on the 3rd January with Saleabration (free goodies) and to say I'm a tad excited is a bit of an understatement! So I thought it would be perfect to give you a glimpse of a couple of the new products with you. I have used the new Tutti Frutti Suite to make my card. I picked out the Real Red and Lemon Lime Twist in the papers for my card. It is simple to put together. My base is in Lemon Lime Twist. Then a layer of Whisper White and the top layer is some of the new DSP. I have added some of the Lemon Lime Twist Ombre Ribbon under the banner. Aren't the papers gorgeous! Full of fresh colours. It is a 6 x6 paper stack. 48 sheets. 12 designs, 4 of each. And if you want an alternative, the B sides are just lovely! My strawberries are stamped in Real Red and Lemon Lime Twist from the new Fruit Basket stamp set. And I have used the "you are just the sweetest" sentiment from the set too. I stamped in Lemon Lime Twist and cut the sentiment out in a square from the Stitched Shape Framelit dies. I punched the stamped strawberries out using the new Itty Bitty fruit punches. The punches were what drew me to the suite initially. I love all things mini! Did you notice that there is no white edge around the punched shape that there often is? Thats because the puch is ever so slightly smaller than the stamped image. This is perfect as it also means that it is less important for your stamping to be completely aligned. I have also used the new Tutti-Frutti Adhesive backed sequins. They come in fabulous colours! I stamped "friend" inside in Lemon Lime Twist ink with the little heart stamped in Real Red. I added another strawberry for fun too. I love this stamp set. Its going to be perfect for lots of things. To see what the rest of the Design Team at the Inspire. Create. 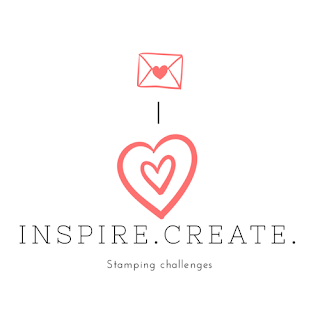 Stamping Challenges have come up with for this sketch challenge visit here. You can see all the entries too. It is fun to play along. Do have a go. We'd love to have you. You will be able to order from the new Spring/Summer catalogue and Saleabration leaflet from January 3rd. I will be sending out copies to customers just after Christmas, who have ordered from me in the last few months. If you would like one do get in touch. I'd be happy to send you a complimentary copy. I really hope you like to see what I have been up to, click on the subscribe button at the top for my posts to drop into your inbox if you don't want to miss anything! As a demonstrator, one of the perks is being able to order products early. Keep dropping in if you would like to see more projects made from the new catalogue offering. We have an AMAZING Saleabration joining offer starting January 1st. Choose your starter kit of £130 of products for £99 with free shipping and add in another two stamp sets of your choice for FREE! 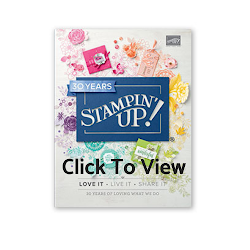 As a demonstrator you will continue to receive demonstrator discount and have all your customer perks such as earning free Saleabration items and Stampin Rewards too. If you would like to take advantage then JOIN MY TEAM HERE or get in touch for a chat. It really is easy. I'd love to have you in my team! After so many Christmas Cards we have been making Thank You cards at Coffee and Cards this week. So useful to have on hand at Christmas time. The new Stampin Blends Alcohol Markers pair perfectly with the Birthday Blooms stamps. The flower is stamped in Memento Black Ink and then simply coloured in. 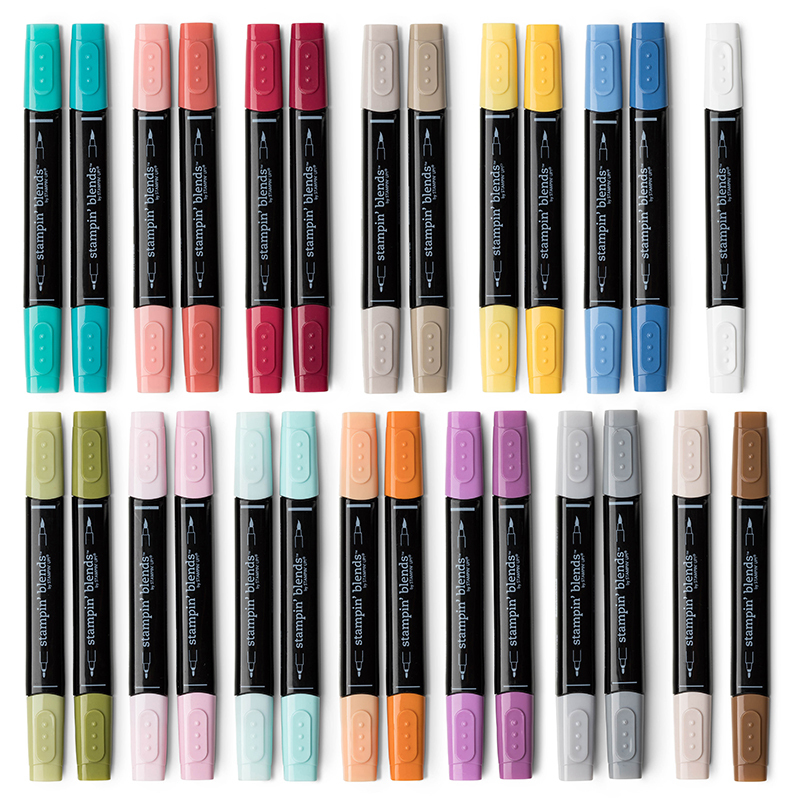 The blends make it easy to create shading and depth. The ladies did a beautiful job with these cards. Did you spot the Piggies? I brought them along for a little fun too. The Stampin blends. A gorgeous rainbow! 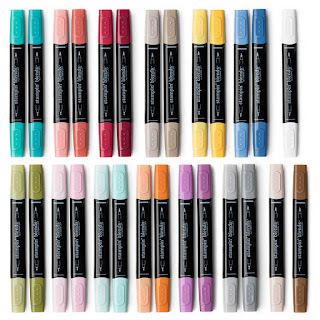 If you would like the whole set of these and would like to spread out the cost, see my Blends club here for details. Here are some of the cards we have made over the last few weeks at Coffee and Cards. Cookie Cutter Christmas stamps and punch. Floral Sentiments with Stampin Write Markers. Colourful Seasons stamps with the baby wipe technique. Goodness, It's lovely to look back over the last couple of months at what we have made. I'm so looking forward to coming back in the New Year for Coffee and Cards. Its perfect to drop into and make a card or two. See my Coffee and Cards page for details. We'd love to see you! more detailed cards and projects too. 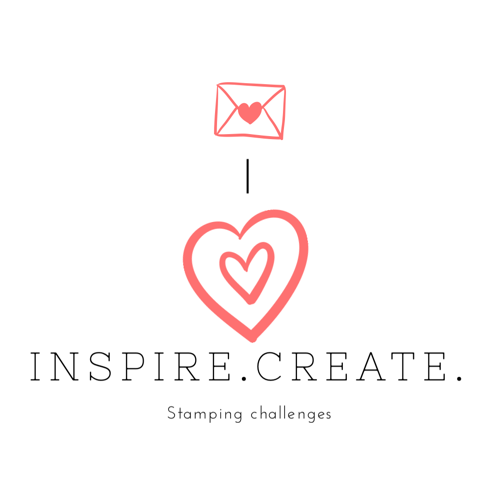 Inspire Create Stamping Challenge 007. Hug in a Mug treat pouch! 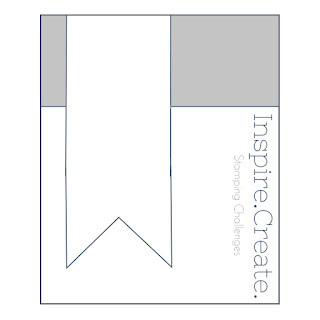 It is time for another Inspire Create Challenge and this week we have a colour challenge! I love this palette and it is so perfect for the time of the year. I have been deliberating what to make with these tiny treat tubes from Stampin' Up!. I used them at Halloween to put lots of treats in and knew they would be perfect at Christmas too. With the weather turning so much colder this last week there have been a fair few hot chocolates made in our house. Cream and a few tiny marshmallows are a hit with my boys. I realised the tiny marshmallows would fit beautifully and with the Hug In A Mug stamps, would be great to make a hot chocolate treat pouch. I stamped " You warm my heart" in Pear Pizzazz ink , little heart and some Hershey kisses in Black Memento ink and used my Stampin Write Markers to colour them in Real Red and Crumb cake. I cut it out using my 1 3/4" circle punch and layered it onto a 2" circle, added a little clear heart gem and secured it to the sachet with a glue dot. On a piece of Whisper White I have stamped the mug Black Memento and coloured it using the dark and light Crumb Cake Blends markers. The alcohol inks mean I can add a little shading. I have added whipped cream and marshmallows and a little candy cane too. I have added the star in the centre of the mug in Tranquil Tide which gives it a nice pop of colour. "Hot chocolate is a hug in a mug" I have stamped in Pear Pizzazz. Can you see the Wink of Stella I have used to add a little sparkle to the mug? The final touch is the tiny marshmallows popped in to the treat tube. I have added a couple of small holes with my punch to the pouch at the top, threaded through some Real Red ribbon and secured the tube with a bow. I hope you like it, I think put a luxury hot chocolate inside and it would be a perfect little treat to give out. Maybe an inexpensive teacher gift or for your children's school friends at the end of term ( note - check dietary requirements though ) or would be lovely to dress up a Christmas present. I can't wait to see what the other Design Team members have come up with for this week's challenge. Given we all have the same challenge, they are always all so different and inspiring! Hop over to the challenge here to take a look and also at the other entries . It's great fun to play along and we love to see people taking part. 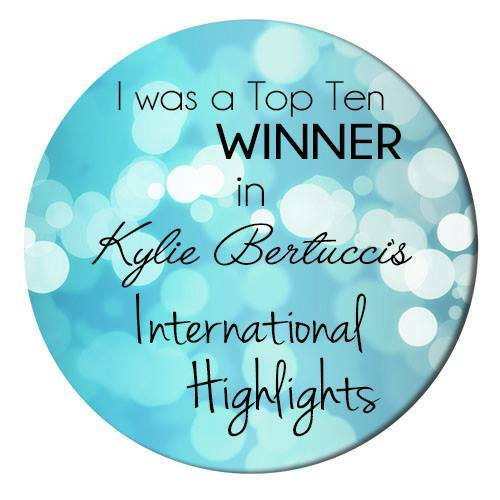 Do play along, it is open to all, we'd love to have you and if you win you can display the badge on your blog too! As we are coming to the end of our Autumn/Winter Catalogue period which means that some of our products will be retiring to make way for new! This means we are currently having a year end sale! You can click directly on any product you are interested in. Christmas Table Favour Boxes. Year of Cheer! Aren't these cute little boxes just gorgeous? They are so fun to make too. I made each one just using one 6" x 6" piece of Designer Series Paper and they are the perfect size to go on your Christmas table to hold a favour, after dinner mints or a small gift. I used the Year of Cheer DSP to make them. it is card stock weight and perfect for beautiful boxes. I love all the mixed metallics in the Suite. Here is my You Tube Tutorial on how to make them. I hope it was helpful. Do give me a thumbs up and subscribe if you did. I used copper embossing powder for the sentiment to match the copper in the paper, with silver behind too. I'm going for White on my Christmas table this year with some mixed metallics to make it festive. 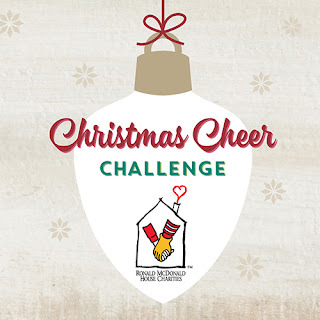 Christmas Cheer Challenge From Ronald MacDonald House Manchester! I am so proud to have been chosen to help at the kick off event at Ronald Macdonald House in Manchester for Stampin' Up! 's Christmas Cheer Challenge this past Friday. Demonstrators and customers gathered together this weekend to make Christmas cards for the families of sick children who are hospitalised over and are staying at Ronald MacDonald Houses over Christmas around the UK. The Christmas cards mean that families who wouldn't be able to get out to buy cards will be able to send cards to friends and family, bringing a little normality and cheer to what is a very difficult and stressful time. Surplus cards will be sold and funds raise will go directly to Ronald Macdonald House Charities too. I travelled up to Manchester on Thursday ready to kick off our Christmas Cheer Challenge Weekend on Friday. Six demonstrators names were drawn to take part and we were challenged to make 100 cards each during the course of the day. Getting ready for a full day of card making ahead. Our event was set up in the board room of Manchester's Ronald Macdonald House. We had face book live's broadcast from the event throughout the day, reporting on our progress and competitions for viewers too! Setting up in the Board Room for our event. This room is always booked out and proceeds go back into the charity. Being made very festive! Do you recognise the paper in the paper chains. Kelly hard at work setting the stage before the event. Each demonstrator was given the task before the event to design their Christmas card. Given the challenge to make 100 each in a short space of time it needed to be simple enough to achieve but also pretty too! This was my design. I made it in a few colour ways. And here is Nikki with hers too. At 10.25 promptly we started the event with our first Face Book live broadcast. We had more of these throughout the day with updates on our progress and competitions too! We were treated to a tour of the House and were able to see first hand the amazing work Ronald Macdonald House Charities do to help families when they most desperately need it. Families whose children are hospitalised in the specialised children's hospital around the country are very often miles away from home and the cost for parents to stay nearby would be prohibitive if it weren't for the facilities of Ronald Macdonald House. We were given some interesting facts about the House. It has 5 floors and 60 rooms. There is a telephone in each room which has a direct line to the children's ward. These posters are on the walls at various locations throughout. Manchester House's Giving Tree. A tag is hung on each of the branches to show sponsors who have sponsored a room this year. This large kitchen area has a roomy dining area on the other side with window view. There is a games room for older children. Lots of the equipment is donated. One of the beautiful rooms for the little ones. It has an under water scene carpet too! These facilities are used by siblings who so often have to spend so much time at Ronald MacDonald house too! The rooms are always occupied and turned as soon as empty. There is a 40 family wait list at any one time. The average length of stay is 27 days but could be as long as 2 years! They rely entirely upon charitable donations. Our goal between the 8 of us was to make 800 cards! We started at 10.30, we were given a tour of the house and we also stopped for lunch and Face Book live's too! I am so happy to say that we exceeded our goal and our final count at 4pm was 920 cards! Woo Hoo! We did it! I had an amazing day and feel very lucky to be have been able to take part in the kick off event to help this awesome charity that is very close to my heart. Stampin' Up! planned two weekend events this year to make cards, the Birthday Wishes Event in the Summer and the Christmas Cheer Challenge. We had a target to reach across both the events of 10,000 cards. Due to some amazing efforts by Stampin' Up! demonstrators in the summer we reached the 10,000 card goal in just that first weekend event! So what did we do?! We double our goal for the year to 20,000 of course! Over the course of the weekend my news feed on social media was completely filled with events and awesome challenges that other demonstrators and their customers are holding UK wide to achieve our goal. I have been awed at he efforts and I am confident that our final goal of 10,000 this weekend will have been met. The count is still going on and its looking very positive. Watch this space to see if we did it! Thank you so much for taking the time to read my post. If there is anything you would like to do to help Ronald MacDonald House Charities do get in touch with your nearest House or contact http://www.rmhc.org.uk/. They would love to hear from you.